The problem is your marketing, and likely your website. Luckily, the answer is in your passions. 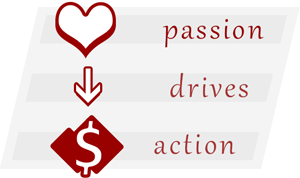 Business owners' passions fall into 5 categories (see the hearts above). You likely identify with at least 3 of these. Digging into these we find stronger differentiation that should be exploited in your marketing and on your website and discover powerful opportunities to do so with the greatest likely engagement. We don't stop there. We then apply the passion formula of 5 unevenly weighted factors to identify why and where your sales process is breaking down. Your customers buy for their reasons, not yours. And they likely aren't aware of their own real reasons. For better sales, your passions need to tie back to the unconscious drivers of their actions. If you're tired of mediocrity and ready for your website to drive action, I invite you to consider this special offer for the Experience Pros community. Call me at 303-783-5760 to learn more. Dru and his team are just amazing! Don't forget to check out Boost Denver!!! I've known Dru Shockley and Call to Action Alliance for a few years now, and I know with 100% certainty that this is a company that you want to be doing business with. They care about not just getting clients, but having those clients be successful. They talk about passion, but that isn't just talk...there's also a history of caring that backs up that passion, and drives it to new levels. 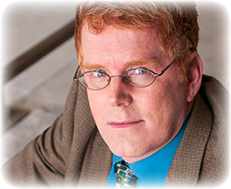 If you want to take your marketing to the next level, Dru and his team at Call to Action Alliance are the people you need to work with. Love Dru's passion. That's what you need to get the job done.